Summer is always a crazy busy time for us which means that I need recipes that are going to help me get dinner on the table quickly. Not only that, but I look for food that's going to taste good and will make enough for leftovers (I love leftovers for lunch). My husband just got a new job that will require him to bring lunch to work now too, so let the leftover wars begin. 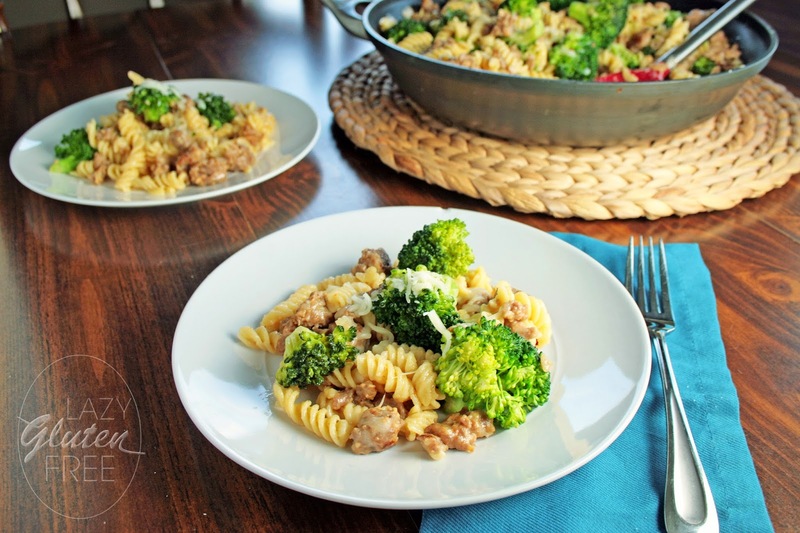 This Broccoli and Sausage Pasta Toss was very good. 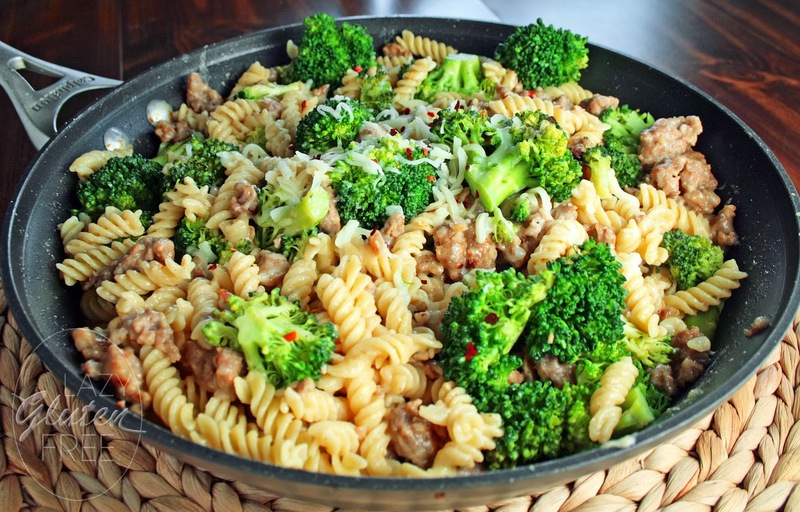 It has just the right amount of comfort food taste and feel, but the broccoli makes you think that you're actually eating something a little better for you. Just don't think about it too much and you might actually convince yourself. 1) In a large skillet over medium heat, cook sausage, breaking it apart as it cooks. Continue cooking until browned. 2) Meanwhile, prepare pasta according to package directions, and steam broccoli (if using fresh). 3) Add onion and garlic to sausage and saute until onions begin to turn translucent. Add cream soup, milk, 1/4 cup cheese, and broccoli. Bring to a boil, reduce heat, cover, and simmer for 5 minutes. 4) Add pasta and stir to coat. Serve with remaining cheese.